As part of a project at The Copenhagen Institute of Interaction Design, Andrew Spitz and Kat Zorina developed an Instagram-based campaign for VELUX windows. Working with the knowledge that when people look up through a VELUX skylight, the have to stand a certain way. The pair called this "the VELUX pose." To capture the VELUX pose, Spitz and Zorina crafted a device that would hold an iPhone to that people would have to look up at it. 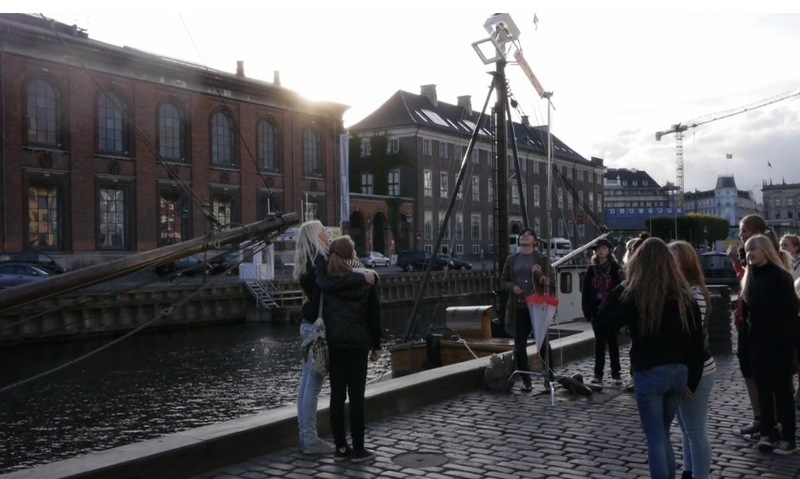 They then placed the device on the streets of Copenhagen and took pictures of people. Those whose pictures were taken could then use a connected iPad to upload images to their Instagram account and tag then with #theveluxpose. Currently, there are 55 images with that hashtag on Instagram. We can envision a campaign like this getting some fairly decent traction with more devices and more resource. We're sure Spitz and Zorina would love to help.